1 OWNER - CLEAN CARFAX - WELL MAINTAINED - BLACK ON BLACK - VOICE COMMAND - NAVIGATION - REAR VIEW CAMERA - POWER DRIVER AND PASSENGER SEATS - REAR SUNSHADE - AUDI ACTIVE CRUISE CONTROL - 8-SPEED TIP TRONIC TRANSMISSION - AUDI QUATTRO AWD - PARKING SENSORS - DUAL ZONE CLIMATE CONTROL - PREMIUM BOSE SOUND SYSTEM - MULTI CONTOUR ADJUSTABLE SEATS - TELESCOPIC STEERING WHEEL - SUNROOF AND MUCH MUCH MORE!!! 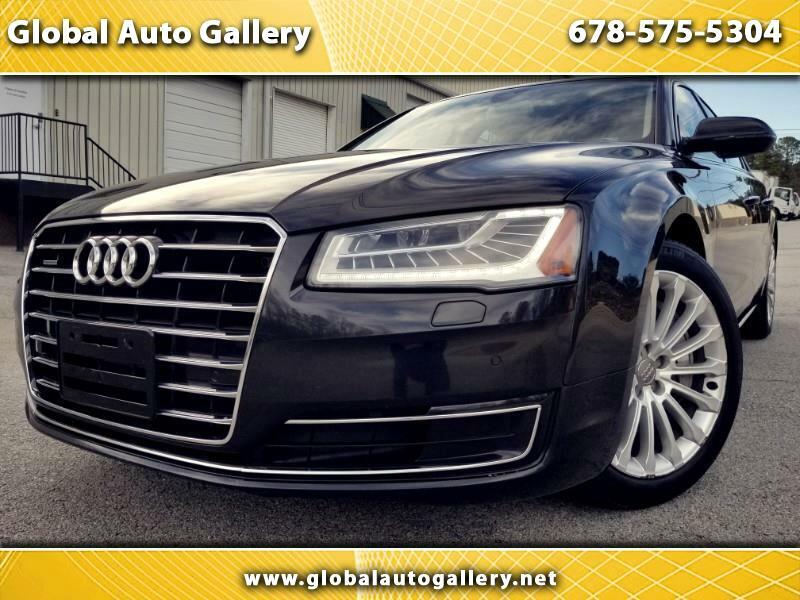 LUXURY FOR LESS - PRICED TO SELL - AMAZING DEAL - CALL US AT 678-575-5304 BEFORE THIS PRESTIGIOUS VEHICLE IS GONE!!!! !